AirJamz is an app-enabled bluetooth guitar pick that has everyone making music. Simply power up, connect to the AirJamz Music app on your mobile device and strum, shake or move with the AirJamz. Your motion is sensed and instantly turned into music and sounds in the app. Now your moves make music! Quality you can trust from the makers of the jamstik+ SmartGuitar.More than a feeling. We’ve all been moved by music. We imagine we were making that music ourselves with some air drums or air guitar. AirJamz takes you past dreaming straight to rocking. Now your moves make music! Just pick up and play, there is nothing quite like this music experience. You can rock right now!. 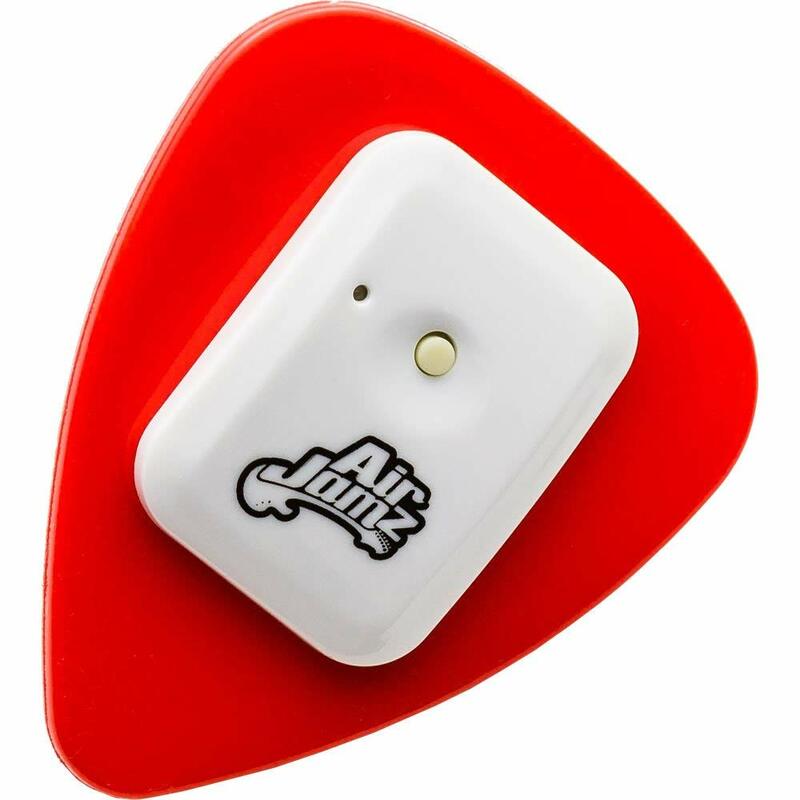 It’s shaped like a guitar pick, but AirJamz goes way beyond rocking guitar riffs.With over 100 instruments & sounds, there’s something for everyone: drums, keyboards, DJ scratches, movie “like” sound effects; all played on top of exhilarating backing tracks.. If you like music, musical games or karaoke, you’ll love AirJamz – it will get everyone off the couch and the whole house rocking! Just connect via Bluetooth, pick a song and become an instant rockstar! You have to move to play! It’s musical virtual reality for your ears. Seriously, all-ages. Try it out! Musical fun for everyone. A blast for parties and family get-togethers!